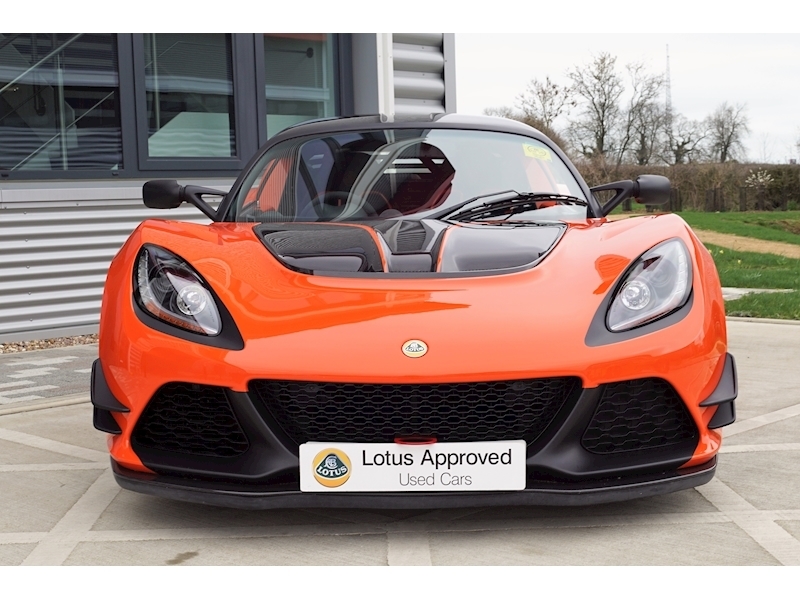 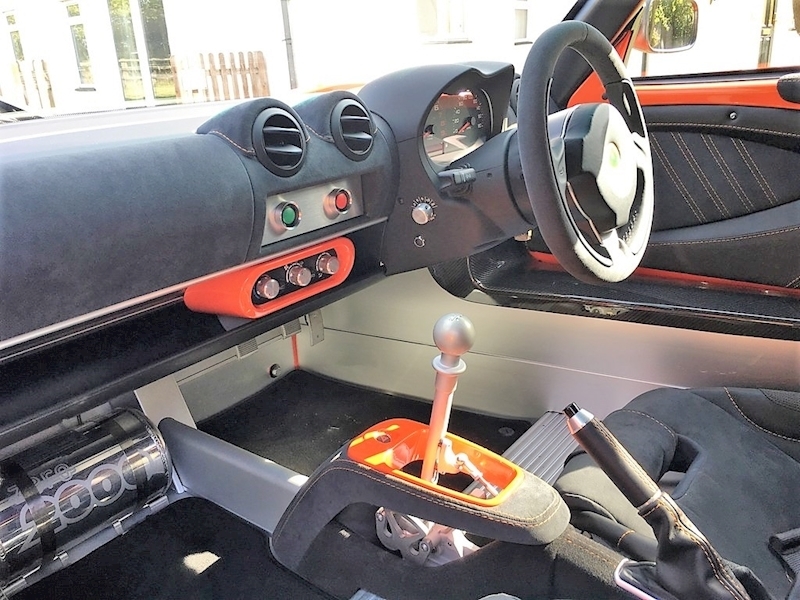 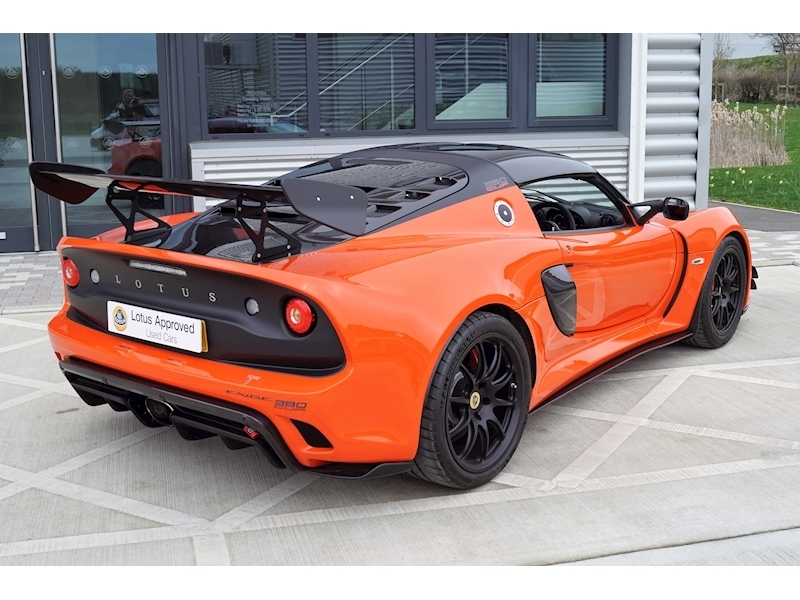 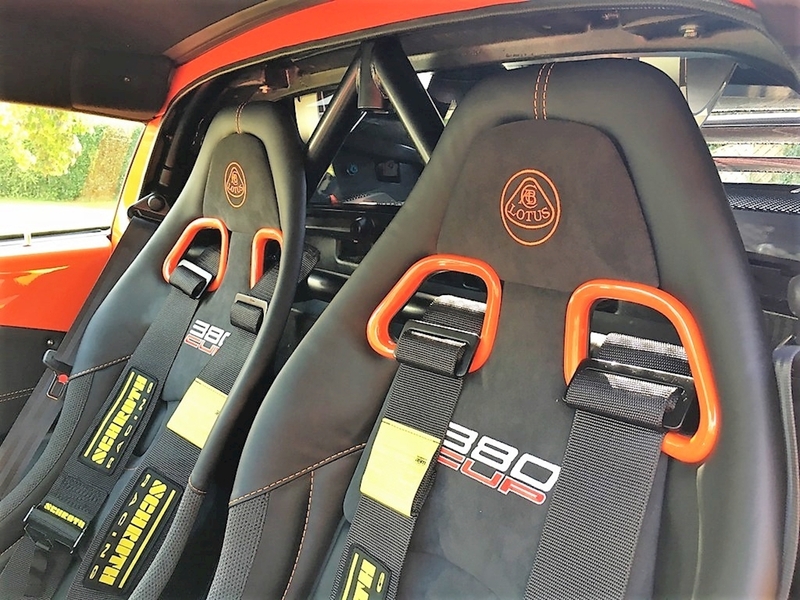 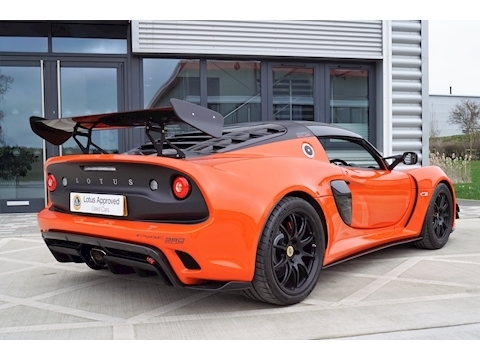 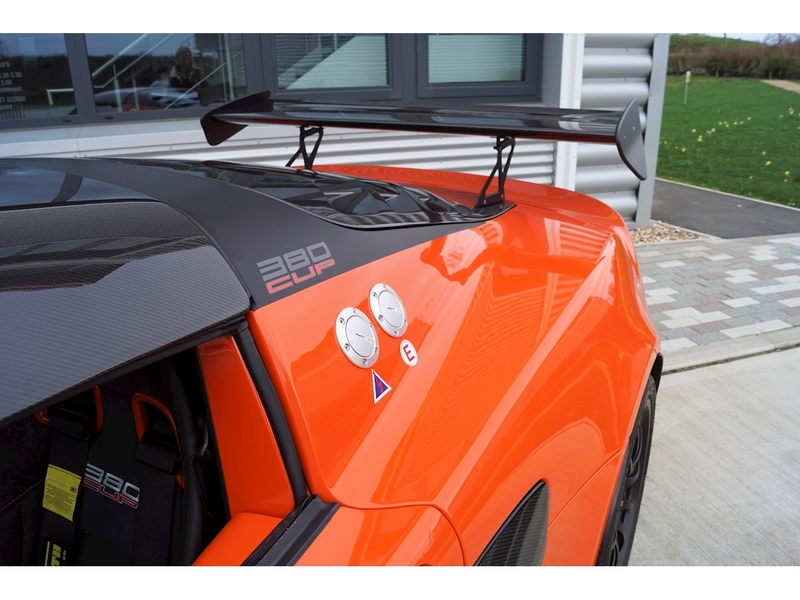 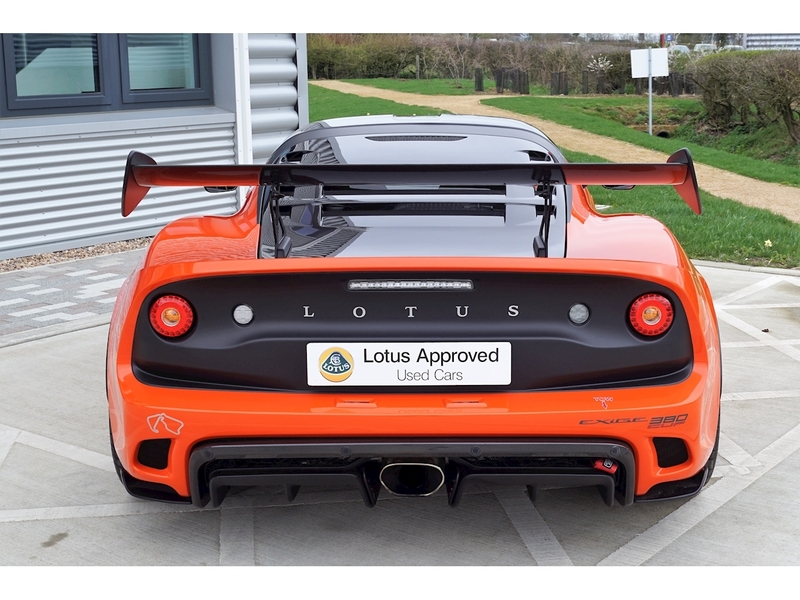 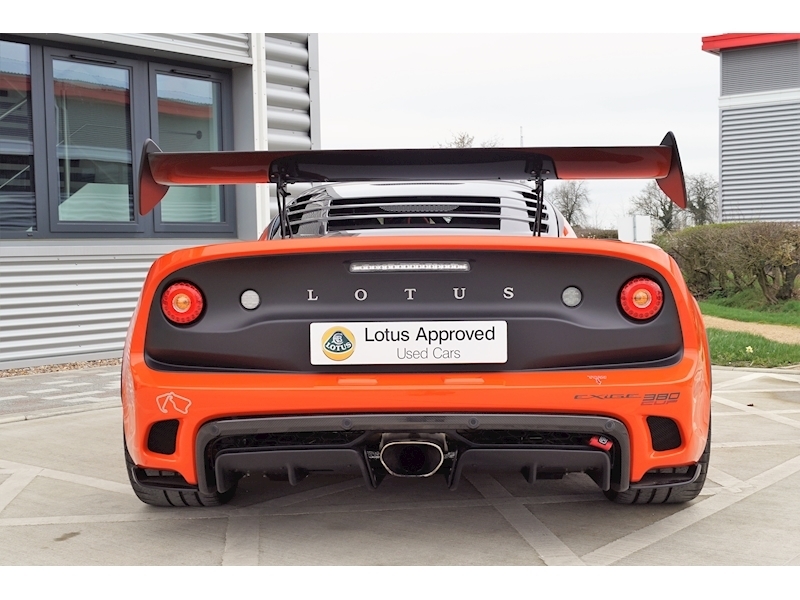 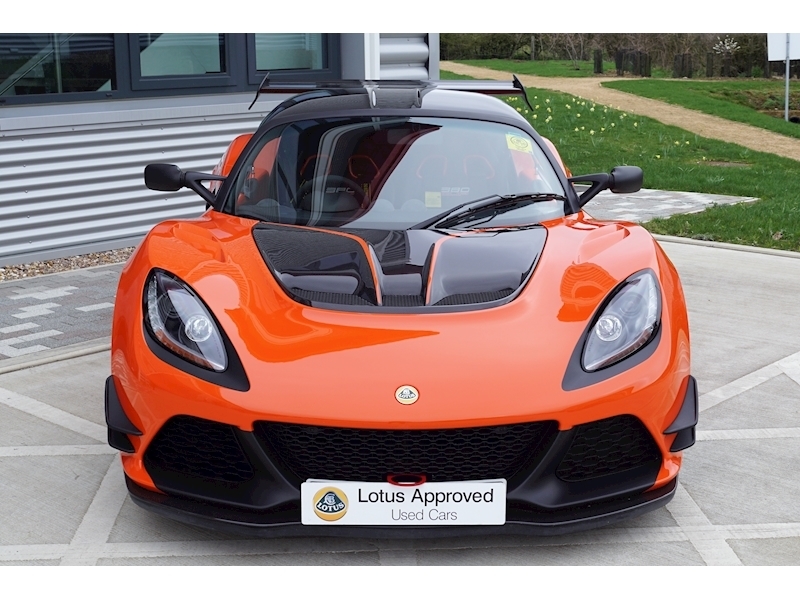 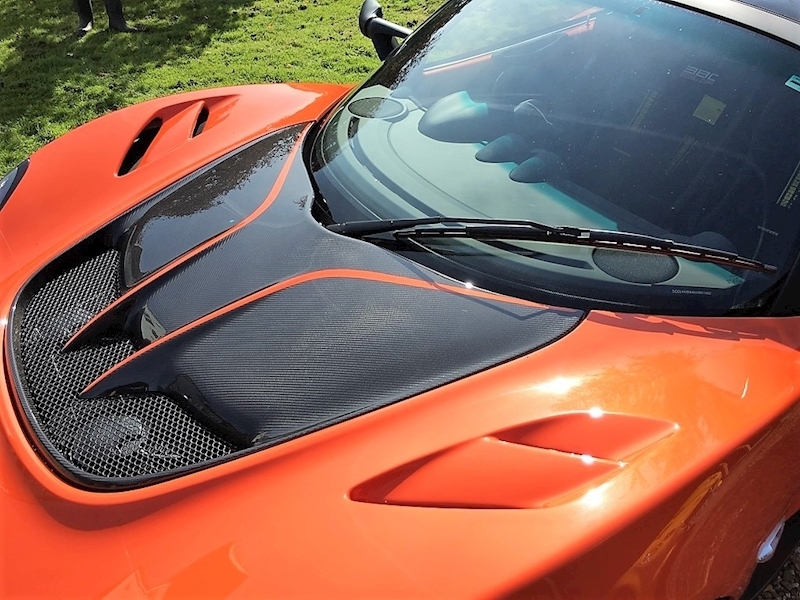 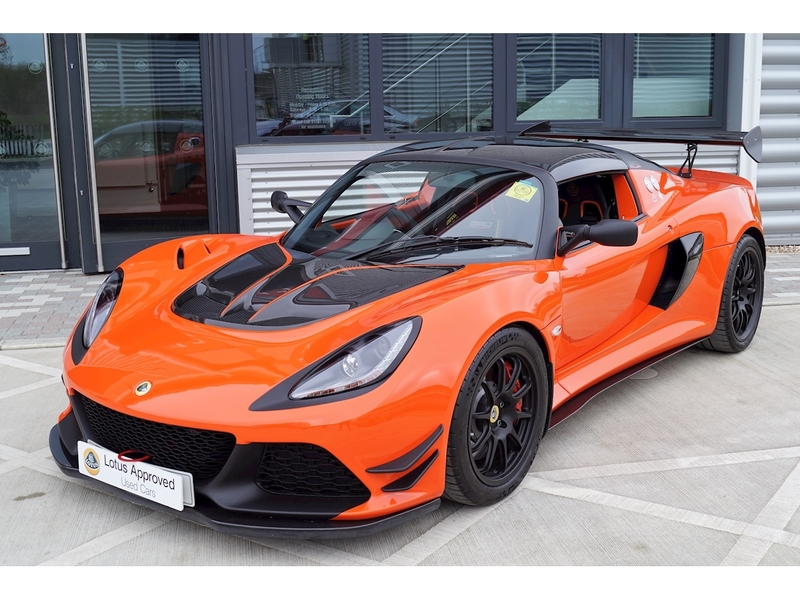 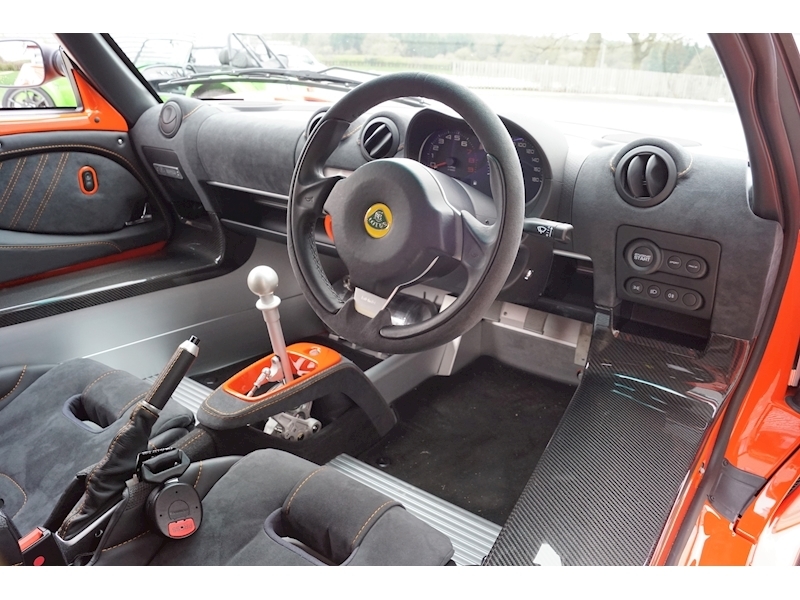 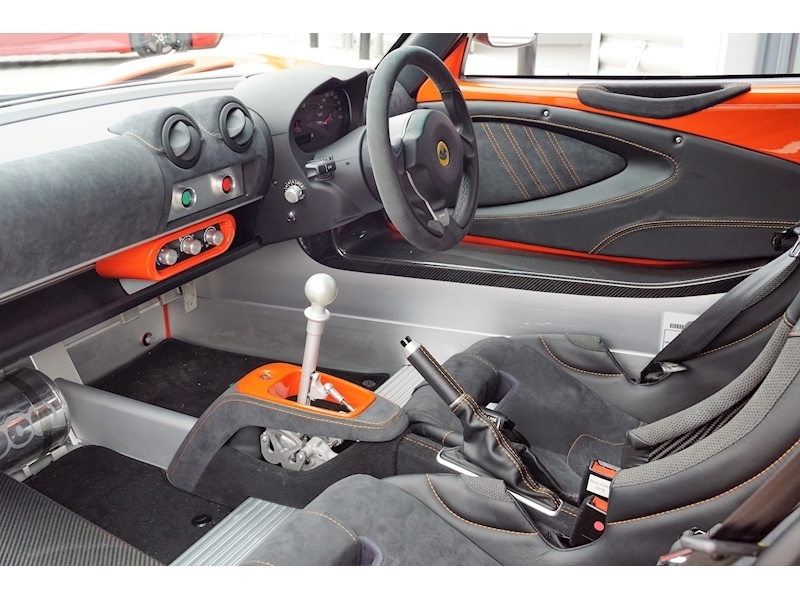 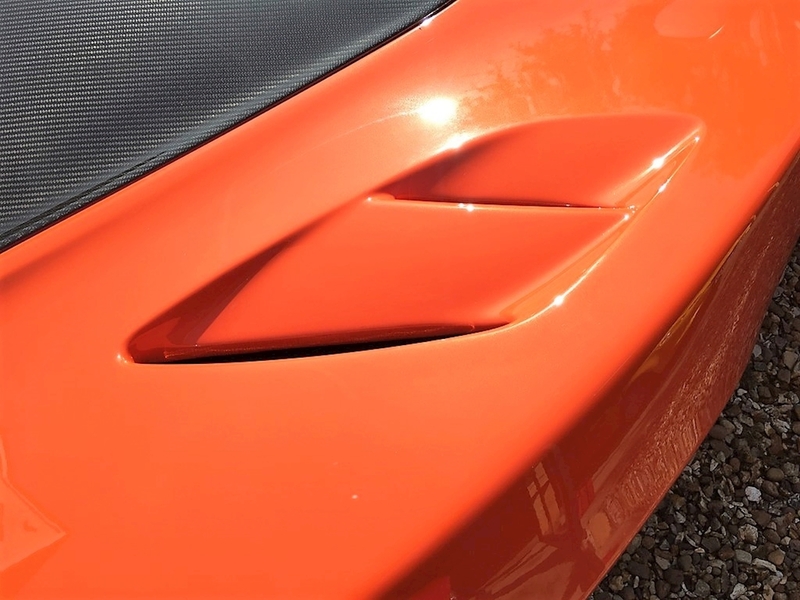 Exclusive Signature Orange Lotus Exige CUP 380 with Signature Orange Cat Scratches, Black Alcantara Interior with Exclusive Orange Stitching and Exclusive Orange Interior Colour Pack. 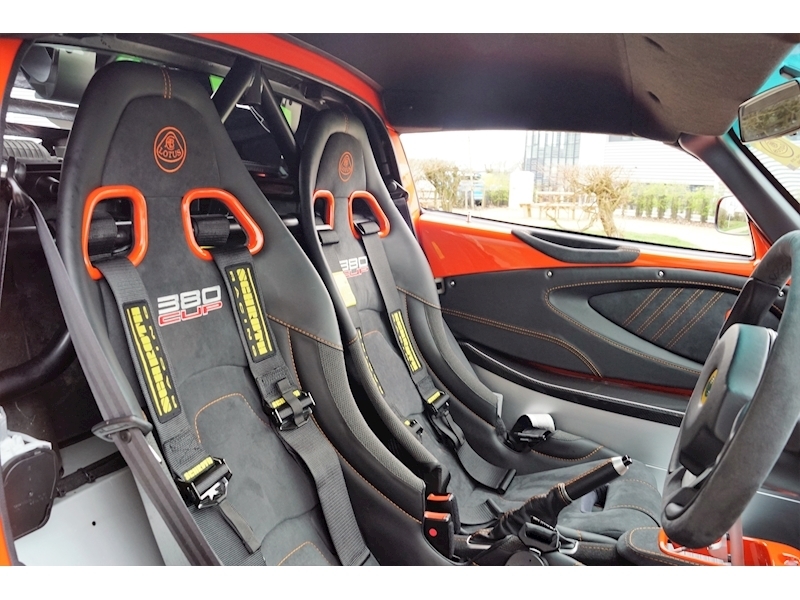 OPTIONS - Harness Bar with Driver and Passenger Harnesses, Airbag Deletion (Including Alcantara non airbag steering wheel), Floor mats, Plumbed in fire extinguisher system and battery isolator switch and Air conditioning. 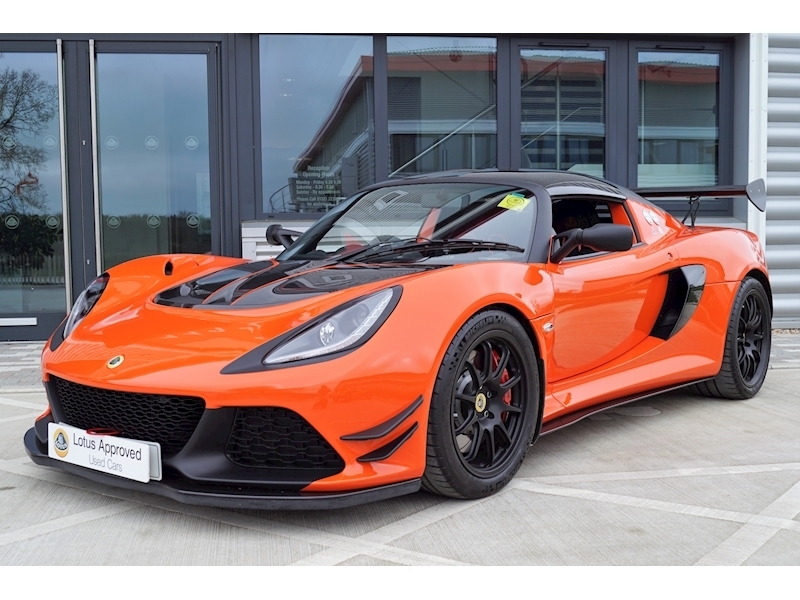 Fully independent double wishbone suspension with adjustable front and rear anti-roll bar, Nitron two-way adjustable dampers, Eibach springs, front and rear, AP Racing two-piece high performance grooved brake discs, Red calipers, ABS System, Lightweight lithium-ion battery. Lightweight full carbon fibre tailgate panel, Carbon fibre front splitter, Carbon fibre straight rear wing, Carbon fibre barge boards, Carbon fibre rear diffuser finisher, Carbon fibre front access panel, Carbon fibre side intake, Carbon fibre hard top, Carbon fibre interior sill covers, Front Motorsport towing eye, Rear fabric strap towing loop, Matt black front canards, Polycarbonate backlight glass.